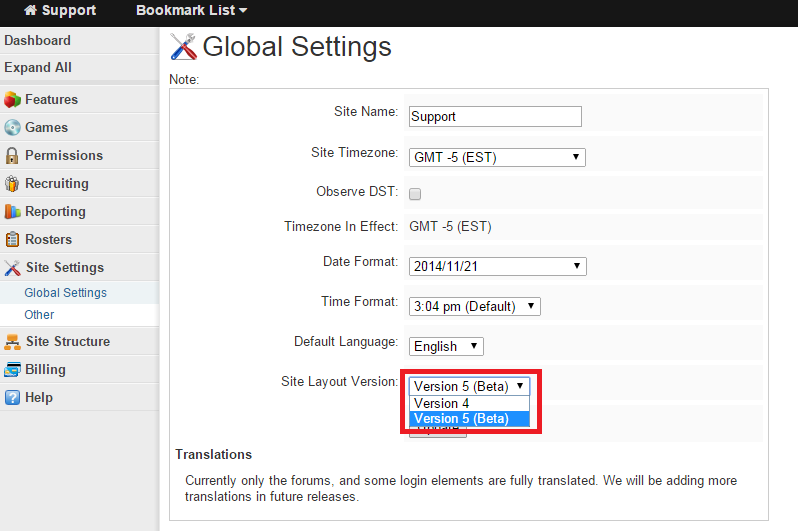 This can be done on the Admin Menu -> Site Settings -> Global Settings area of your site. There is a dropdown for the customization version you'd like just above the Update button. Choose the Version 5 (Beta) option, click Update and you'll be set!